We are a drums, percussion and teaching centre stocking a serious array of instruments – cymbals, drums, cases, sticks, tambourines, heads, pedals…pretty much everything, including electronic kits. And while Meinl, Roland, Ludwig, Gretsch and major pro brands are our main attraction, Highwood, Murray and other lesser known names also add to the magic. You can be sure to find whatever you need, from replacement parts and great repair service, to advice on guidance for your gear and your career. We’re also drummers. And we love handmade, vintage and custom gear, which means we stock brands and things you won’t readily find elsewhere, such as Meinl cymbals we personally select at the Meinl facility in Germany. We do everything we can to ensure you have the very best choice of gear possible. 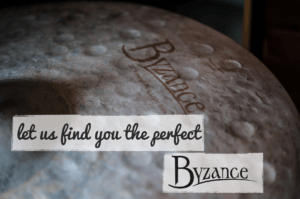 We have sent drums all over the world and drummers such as Gavin Harrison, Zak Starkey and Ian Matthews are among those who appreciate the difference our attention to detail makes. We’re proud to be mum and dad friendly – we can easily talk you through equipment and education in a language you’ll easily understand. dD Drums have been supporting the needs of developing drummers for 15 years, as evidenced by the growing army of dD Drummers out in the musical world! 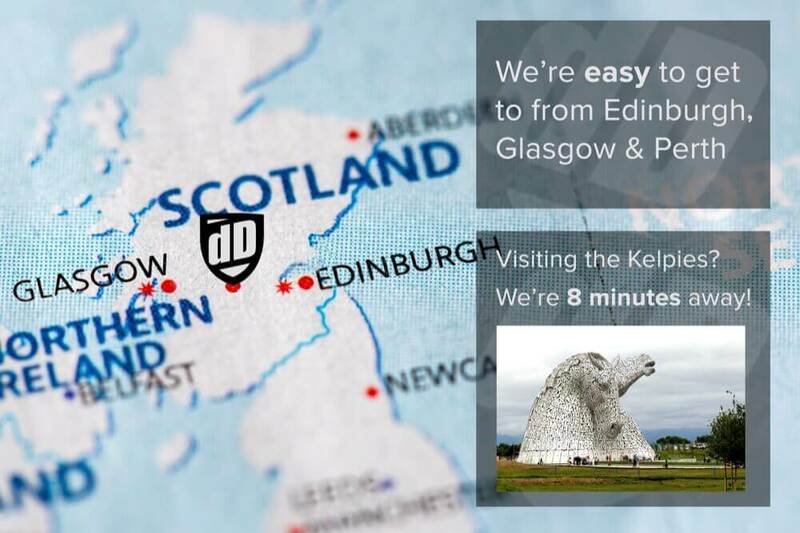 dD Drums is in Falkirk, so if you’re in Edinburgh, Glasgow, Perth, Stirling, Dundee, Dunfermline…anywhere in central Scotland, we’re pretty close. If you’re visiting the amazing Kelpies or the Falkirk Wheel, you’re just minutes from us. And if travelling between Edinburgh and Glasgow, just make a bit of a detour. Come by for a visit and we’ll treat you to a great cup of coffee while bringing you up to date on what’s new. dD Drums is closer than you think!